Father's Day is a day to treasure one of the most important people in our lives. Celebrate your appreciation by giving a thoughtful and cherished gift to remind dad how much you love him. For more gift ideas visit Jewelry Boxes for Men or Mens Watch Boxes and read our Father's Day Gift Guide. 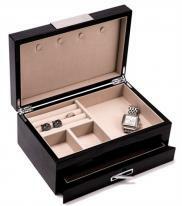 Our selection of jewelry boxes for men and mens watch boxes offer Father's Day gift solutions every taste and budget. 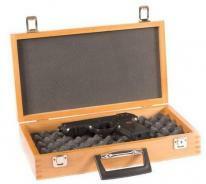 Father's Day is an important day and we know by selecting a meaningful gift from our collection of mens boxes, your gift recipient is going to enjoy using and displaying his jewelry and jewelry case for many years. Add an engraved nameplate to personalize your gift.